However, our inability to interpret the clinical consequences of genetic variants discovered by sequencing remains a critical roadblock to the progress of precision medicine. Functional data constitute one of the strongest types of evidence for classifying a variant as pathogenic or benign, so functional assays represent a viable strategy for overcoming the VUS challenge. Our proposed heuristic for clinical importance combines an assessment of whether knowledge of pathogenic variants in the functional element is actionable, the likelihood that the effect of a large number of VUSs will be clarified, and the feasibility of applying MAVEs. 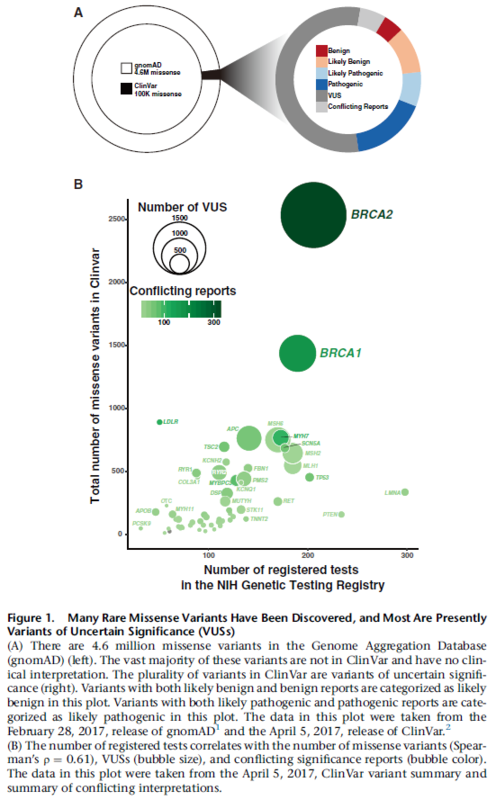 BRCA2 also has 326 variants with conflicting reports of clinical significance. The promoter and distal elements that regulate BRCA2 expression can be interrogated via MPRA, and existing low-throughput functional assays for BRCA2 transcript splicing and protein function could be multiplexed. 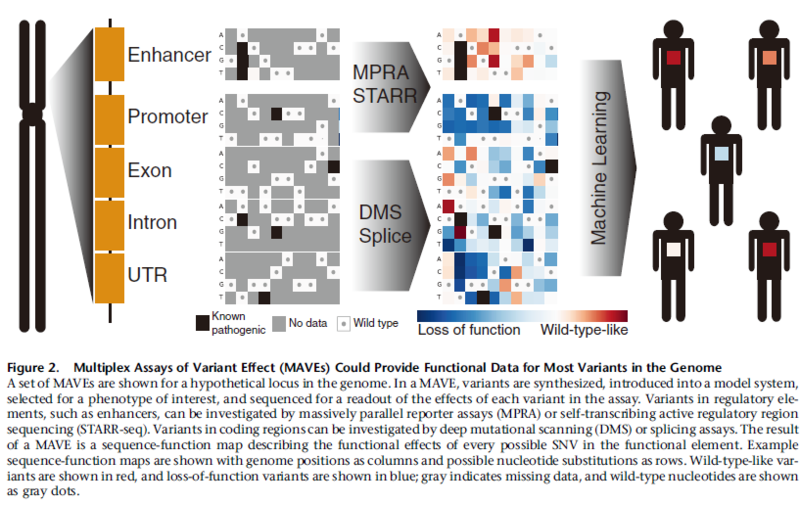 Variants are synthesized, introduced into a model system, and selected for a phenotype of interest. The most effective way to prevent erroneous variant interpretations owing to noisy data is through proper experimental design and quantification of the uncertainty associated with each measurement. Inclusion of appropriate positive and negative controls in these assays can also assist in reducing background noise. For example, sequencing of trios with Mendelian disease, comparison of tumor and normal tissue, GWASs, eQTL analyses, and various functional genomics efforts have all helped to reveal an astonishing number of these relationships. 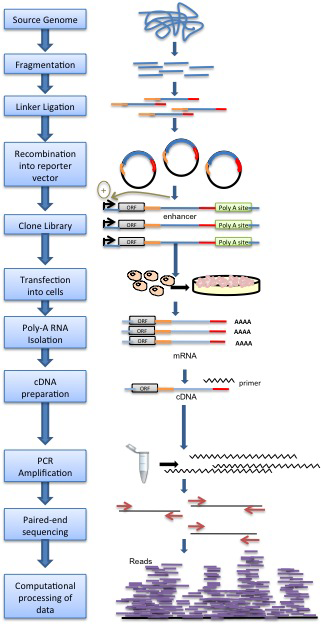 STARR-seq (also known as self-transcribing active regulatory region sequencing) is a novel method to assay enhancer activity for millions of candidates from arbitrary sources of DNA. Being a highly reproducible technique, STARR-seq identifies the sequences that act as transcriptional enhancers in a direct, quantitative, and genome-wide manner.